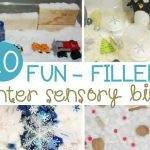 My kids and I are having so much fun this year identifying our letters with sensory bins, so I had to do a winter sensory bin to carry on the learning. 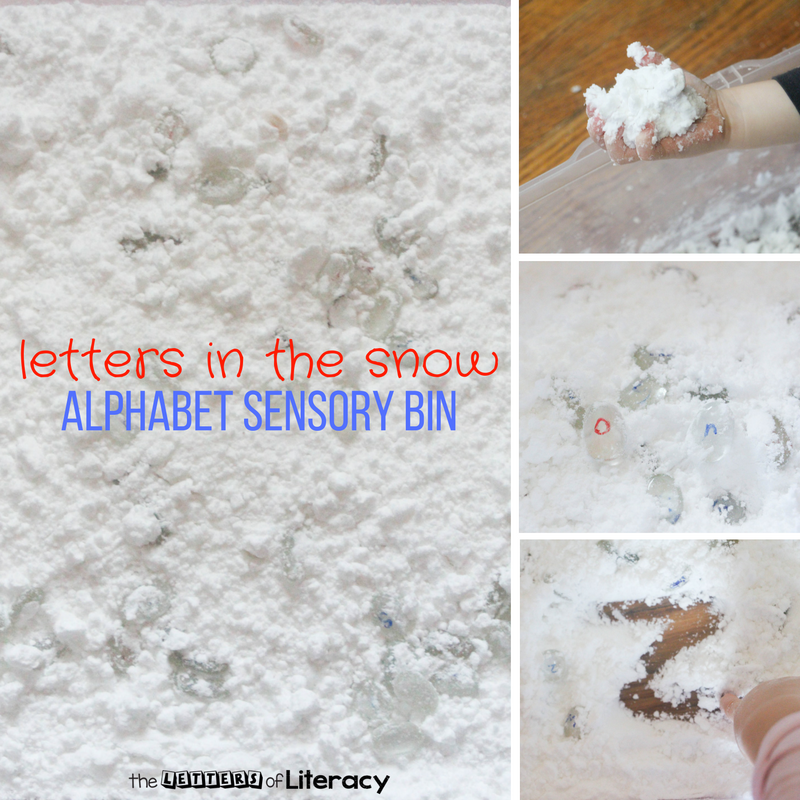 This Letters in the Snow Sensory Bin had them learning and playing for hours! 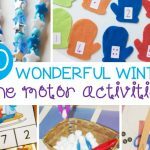 This was a fun sensory play experience for my kids who just can’t wait until the snow flies! 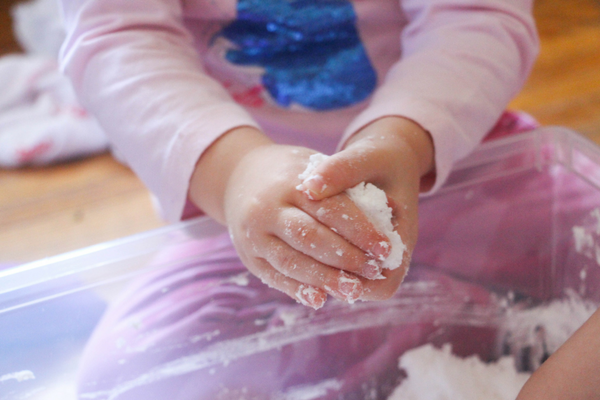 It’s also great if there is snow but for some reason (cold weather advisory, younger kids napping, etc) you can’t get outside to enjoy it and the kids are itching to dig their hands in. 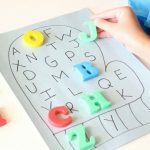 By integrating a learning experience (finding letters and using them in a myriad of ways) with a unique sensory play opportunity, the children were engaged and developed different neutral connections with those letters and language concepts than they would have in a more straightforward (boring) exercise. 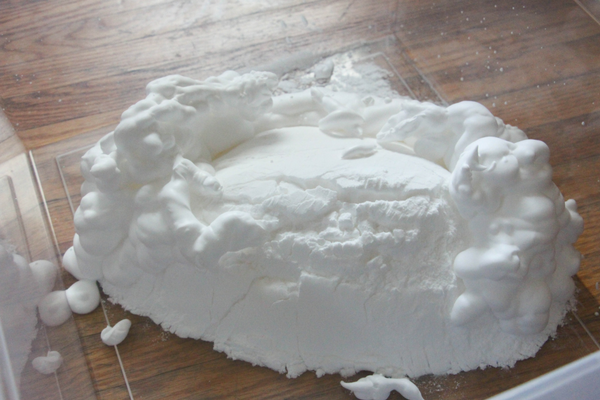 Combine approximately 4 pounds of baking soda with half a can of shaving cream. 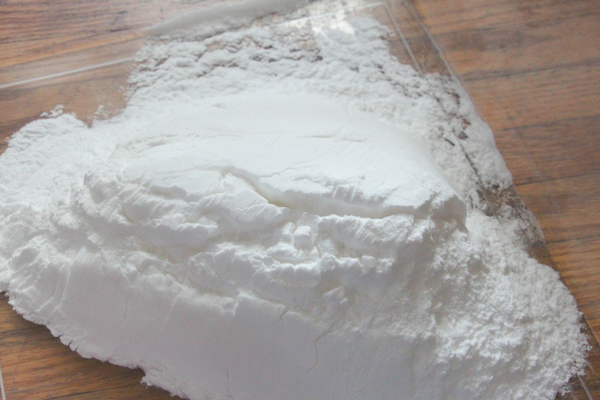 Start with less shaving cream and add more in to achieve your desired “snowy” texture. 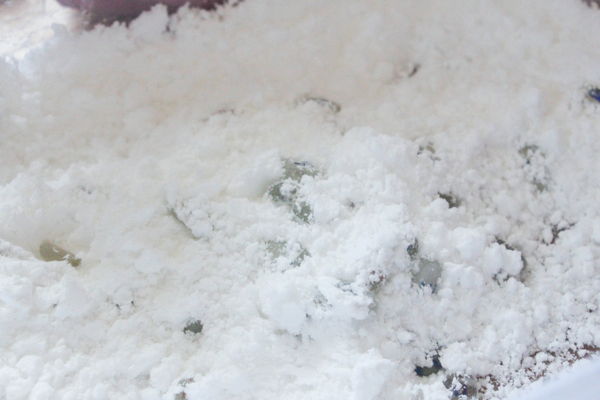 Mix it together – you can use a spatula or spoon, but you’re definitely going to need to touch it a couple times to get a sense of the texture, so you might as well mix it together with your hands and enjoy a bit of sensory stimulation for yourself. 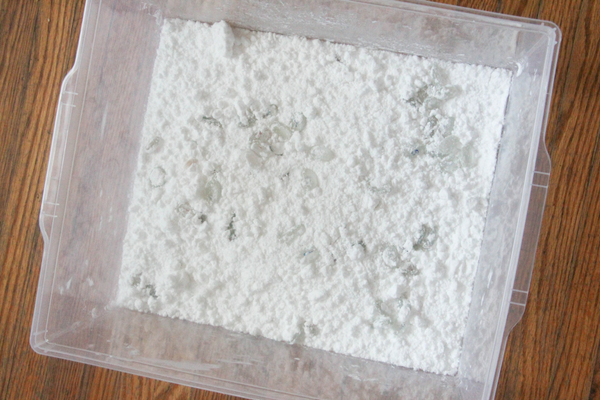 For an added sensory bonus, you can freeze or refrigerate your fake snow before bringing it out for the kids. 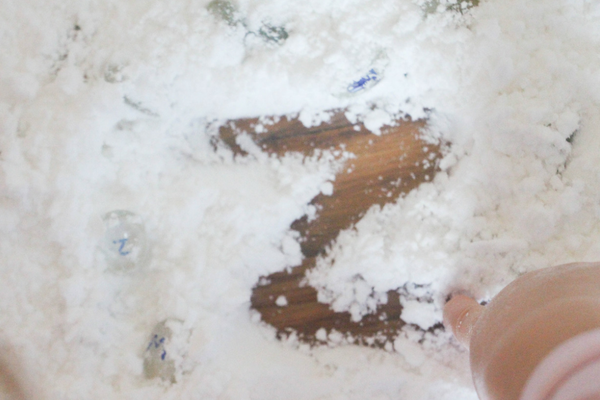 Next, bury some letters in your snow sensory bin! 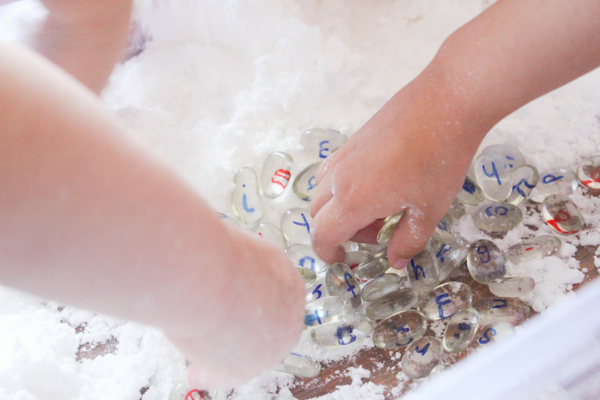 For me, I used clear glass pebbles (which I originally made for my kids as a cheap alternative to a moveable alphabet) that had permanent marker letters on them – blue for consonants and red for vowels. Interestingly, the baking soda mixture eventually wiped the letters off of the glass pebbles so next time I would not advise using glass unless you were going to integrate that into the bin experience (wipe the letter clean once you write a word with it, wipe the letter clear once you identify it, etc). 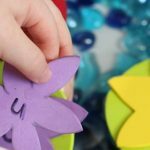 Instead, you might wish to use simple magnetic letters (these magnetic letters have red vowels and blue consonants) or letter beads that you can reuse over and over again and rinse clean. 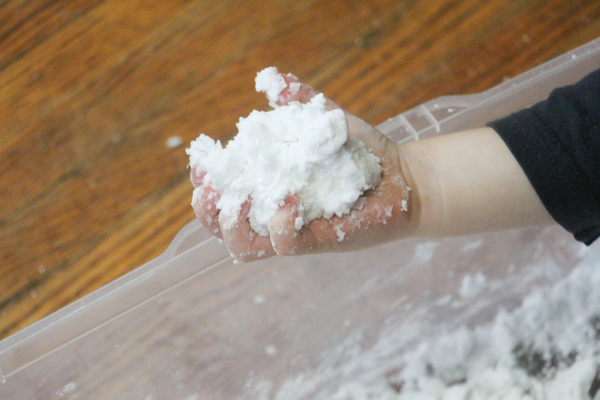 There were so many ways to play and learn with the snow – first of all, experimenting with the texture of the snow and its properties. 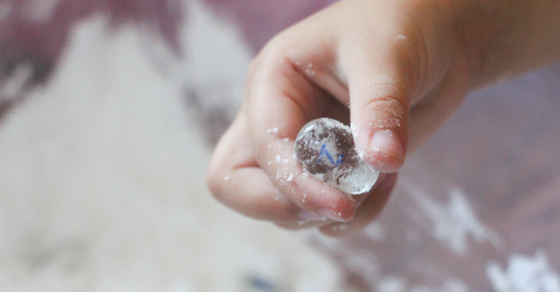 With some experimentation, kids learn that the fake snow can be formed into hard balls when handfuls of it are pushed together with pressure – just like real snow. It’s also squishy and crumbly and a little bit tingly on the skin. 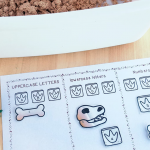 You can also make patterns or practice writing your letters in it! 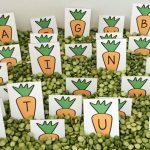 Next of course, the kids had a lot of fun discovering the letters, identifying them, and trying to find enough to form simple words. 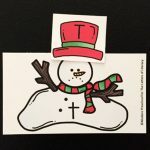 You could even pair this with this fun “Snowball Words” printable to record some CVC words that you create – this makes it especially fun if you are using it in a classroom setting where you may want a recording sheet to send home center work. 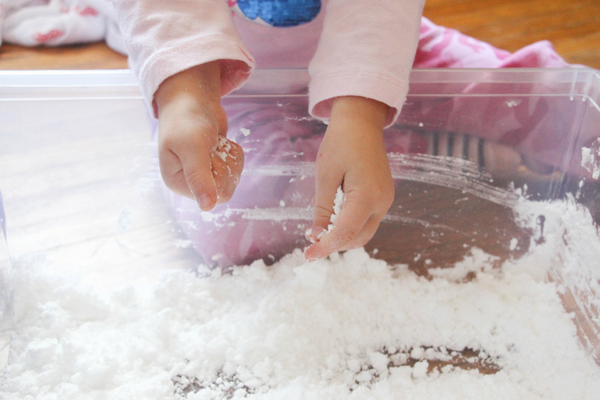 The opportunities for this easy snow sensory bin are endless and should be catered to the age and abilities of your group. My 5 year old found this bin just as interesting as the 2 and 3 year olds in my daycare – and I definitely had fun “playing in the snow,” too! 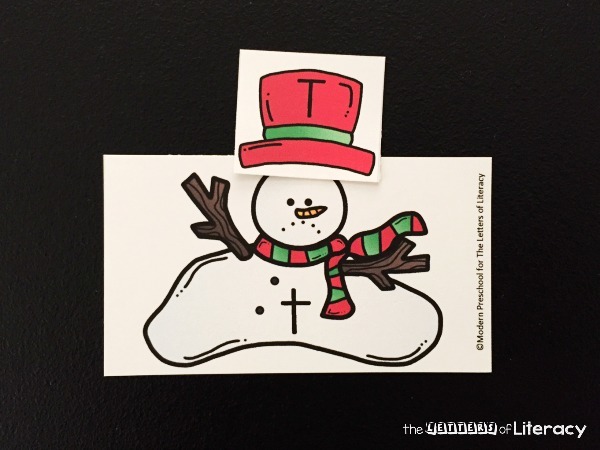 Looking for more fun ways to incorporate a snow theme into your learning activities? 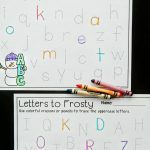 Keep up the fun with the ABC’s and grab our Melted Snowman Alphabet Match!